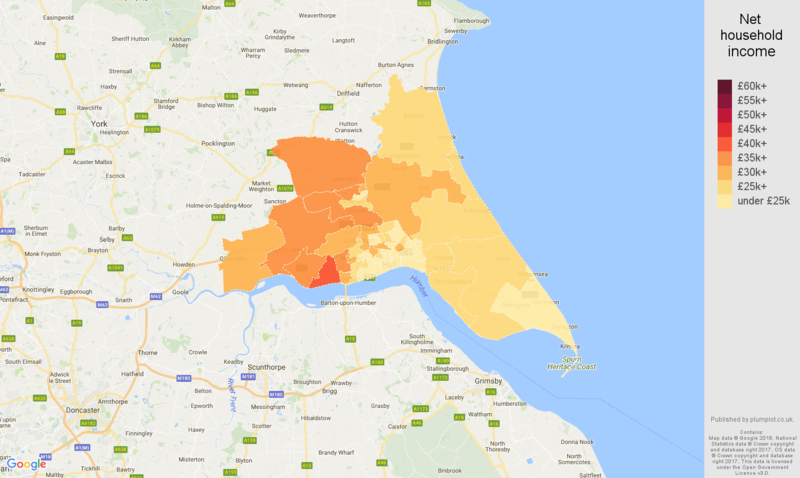 Hull Average salary, household income and unemployment rates in maps and graphs. Map shows the net average household income in 2016 by middle layer super output area (MSOA). 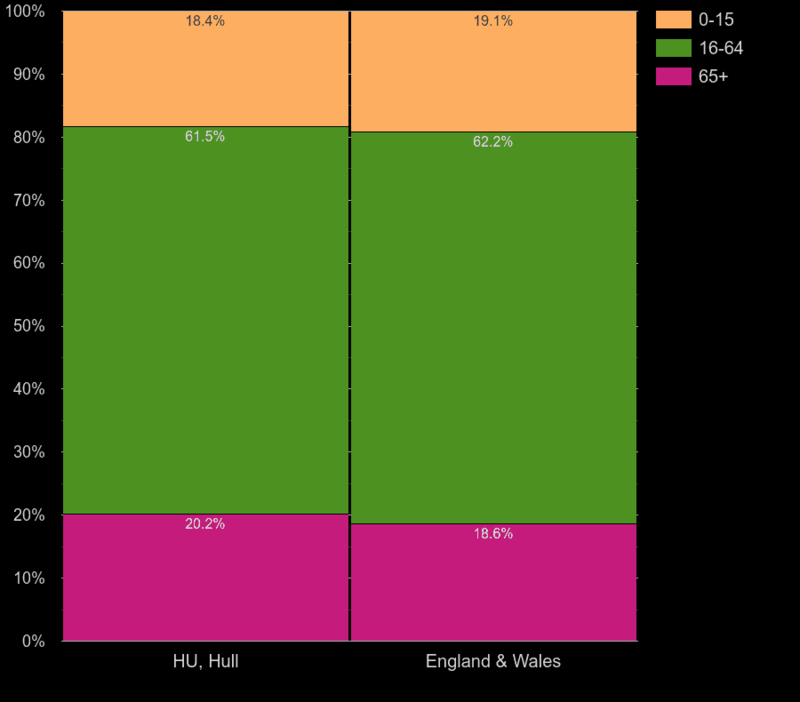 The lowest average net household income was in Kingston upon Hull 024, with £18.3k. 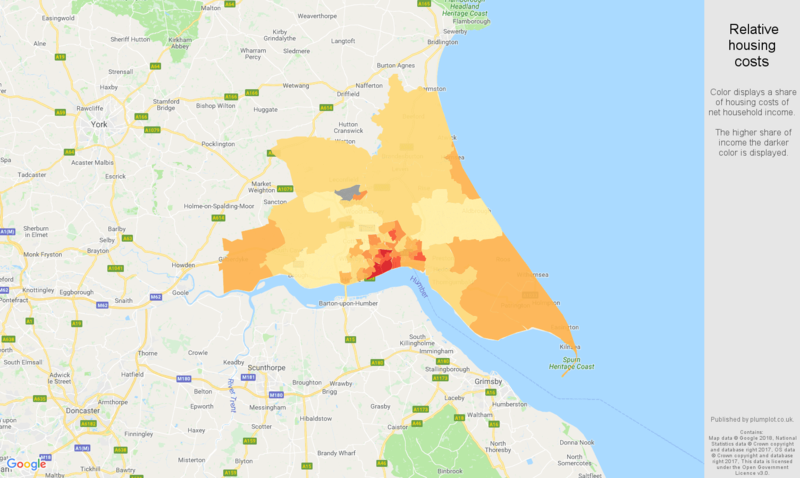 The area with the highest average net income was East Riding of Yorkshire 035, with £40.4k. Median income was £26.7k - i.e. half of the areas had income equal or above £26.7k. Median income for England and Wales was 31.9k ( the lowest income was in Leeds 086, £16.8k, the highest in Tower Hamlets 033, £93.8k).